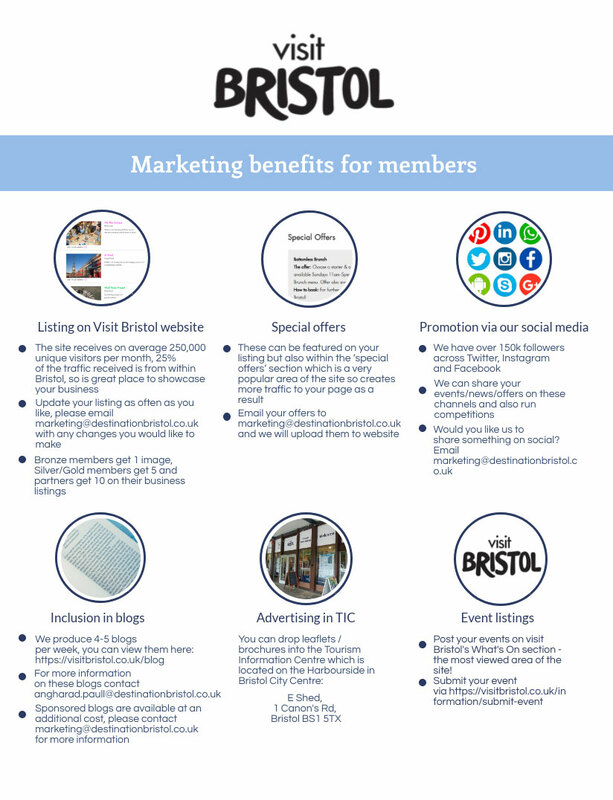 Visitors to Bristol spend more than £97m* on attractions and leisure activities each year and our membership programme enables businesses opportunities to reach this market. We would be happy to discuss applications for businesses wishing to participate at Partner level. If you would like some more information on this please email Faye Batchelor, faye.batchelor@destinationbristol.co.uk. The following membership fees are for activities only. Membership fees are valid until 31st March 2020 and are subject to VAT.